Where did Alphonse Elric go during the few short minutes he was wiped from existence, body and soul? 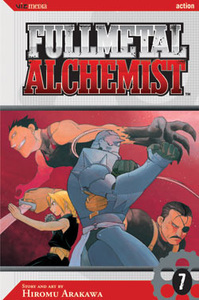 From a secret lair in the city of Dublith, a group of outcasts kidnaps Alphonse to find the alchemical secrets of his creation! It's up to Ed (and a certain housewife) to go into the Devil's Nest and rescue his brother. But the criminals of the Devil's Nest aren't exactly human either.